Sorry, Osaka Maritime Museum is permanently closed. 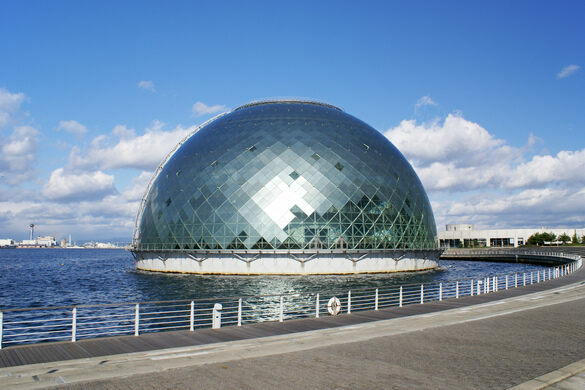 A giant futuristic glass dome in Osaka Bay was once a museum dedicated to the city’s rich maritime culture and history. 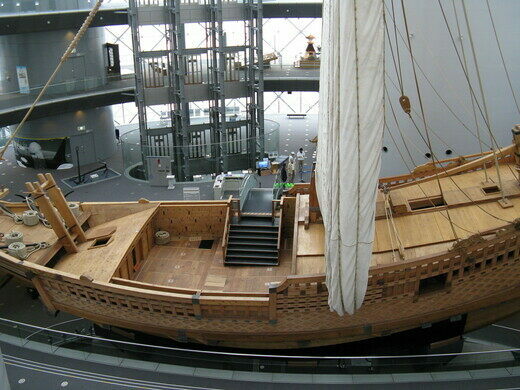 For over a decade the award-winning, weather-resistant structure housed the Osaka Maritime Museum. 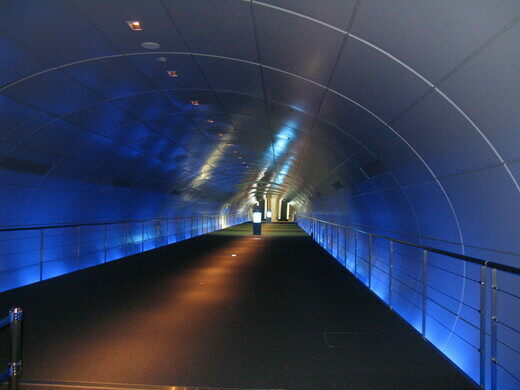 The dome was accessed via an undersea concrete tunnel. A full-sized replica of an Edo period trading ship was the main attraction. Designed by French architect Paul Andreu with engineering by the firms Arup and Tohata, the dome had to be able to resist seismic, wave, and wind activity, and not rise and fall with water levels. This was accomplished with concrete and steel piles anchored deep into the sea floor. The dome, which is 230 feet across and 115 feet tall, was built on land across Osaka Bay from its current location and towed 20 miles before being lowered into place by a floating crane. Variously shaded glass panes were used strategically around the dome to allow natural light and a view of the bay but not overheating. 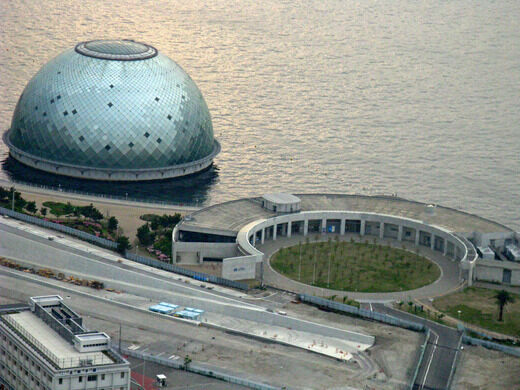 The dome is empty now, as is the semi-circular structure on shore that served as the entrance and administrative building for the museum. Another trade ship replica sits in front of that building. Lack of funds and falling attendance led to the museum’s closure, but residents and visitors can still marvel at the dome in the bay. Easiest access provided through the Cosmo Square Station.